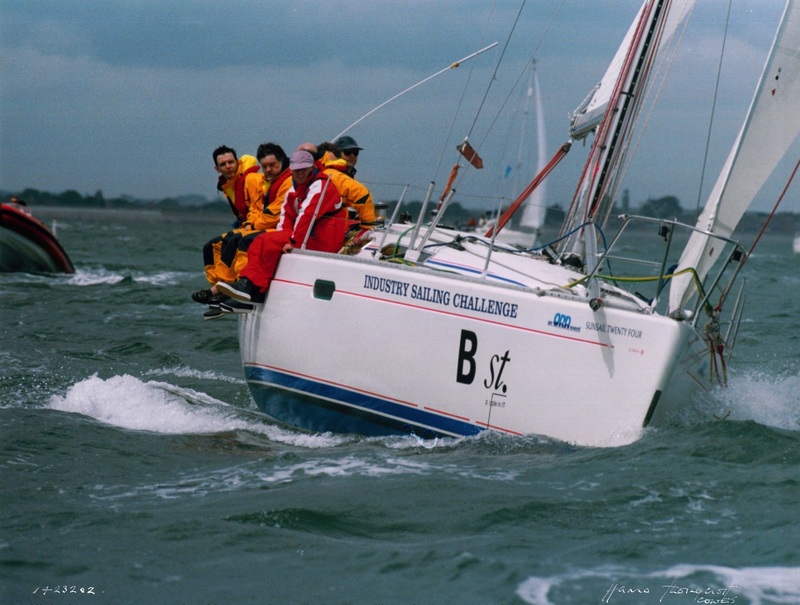 LSYC entered the Industry Sailing Challenge and the Turner & Newall Industry Sailing Masters many times between 1988 and 1998 with a fair degree of success. Here is the 1994 entry skippered by Nick Lightbody with Finbarr Leahy on the front of the rail. LSYC have sailed a variety of formats against the Bar Yacht Club over many years, from dinghies to 38' yachts and over the period the results have been about even. The Bar YC won the most recent outing at Seaview YC in 2016. We are sailing against the Bar YC again in June 2017, once again in the wonderful Seaview Mermaids.